It was my dream come true when I first stepped my foot on London soil. Who could have imagined a plain housewife like me can have a holiday in London and Paris if not doing this business. It was a free trip fully sponsored by company. Now everyone can go oversea with premium beautiful business. Let’s enjoy this video, London Paris Trip part one. 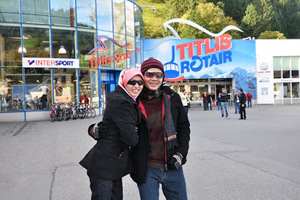 Thanks to my husband Dr. Hasbi for this awesome video. Wait for part two, I promise you it would be more FUNtastic! Next free trip is coming soon. Contact me for details.